Given the cooler Canadian falls, I thought why not repost one of our favourite (toddler friendly) meals! 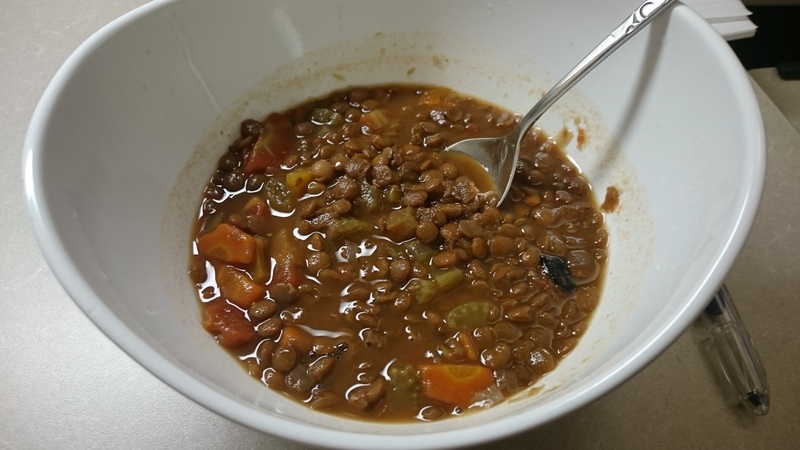 On a cold winter’s night, my family and I love to warm up with a fresh bowl of this hearty vegetable lentil soup. What I love about it is that we usually just throw whatever fresh veggies we have in our fridge into it! Our weekly delivery of vegetables from a local farm “Bryson Farms” provides us with fresh, yummy seasonal veggies (including fennel, different varieties of radishes and squash). Depending on my mood, I will sometimes mix it up (you can’t go wrong with veggies!). I hope your family (and toddlers) enjoy this recipe as much as mine. Step 1: Boil your lentils for 15 minutes to soften them a bit (I find it can take along time for the soup to be ready if you do not soak the lentils first). Step 2: Saute the onions and garlic until they start to brown (5-7 minutes). 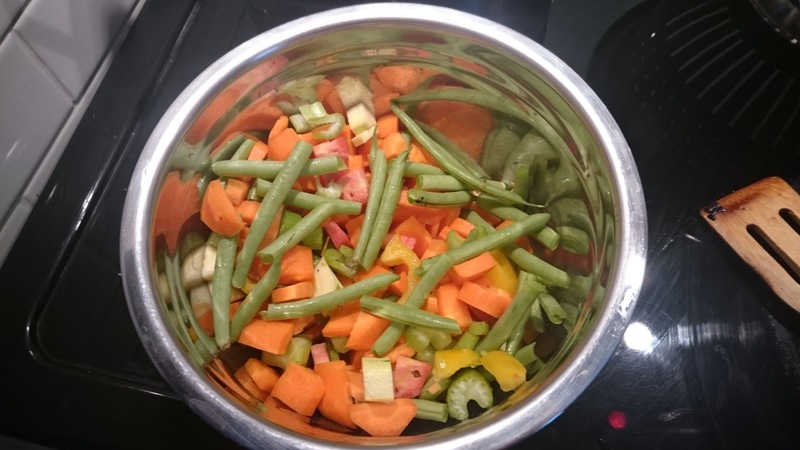 Step 3: Begin to add in your vegetables, start with the vegetables and celery, followed by the remaining vegetables (add baby tomatoes last). Step 4: Add the seasonings (parsley, garlic powder, salt and pepper). Step 5: Saute the vegetables and seasonings for 2-3 minutes, and then add the cooked lentils and the chicken stock (or vegetable stock) and the 2 cups of water. Step 6: Keep soup on medium heat for 15 minutes and then turn it on simmer for 20 minutes (or until the vegetables are soft). ** This soup is slow cooker friendly and toddler friendly. If you decide to slow cook the soup follow the instructions on your slow cooker (although I recommend that you pre-boil the lentils). We sometimes like to add a drop of balsamic vinegar just before serving! Very warm on those cold Canadian days…looks YUMMMMM!!! Looks delicious!! Great on a cold day!